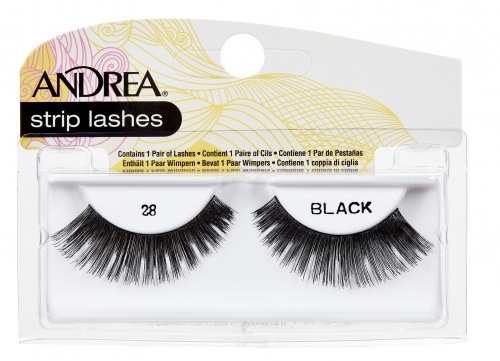 Andrea ModLash #28 (also known as Andrea Strip Lashes #28 Black) lashes are exceptionally full and voluminous, and especially lengthy. These false lashes are graduated in length, shorter on the inside, longer toward the outer corners. 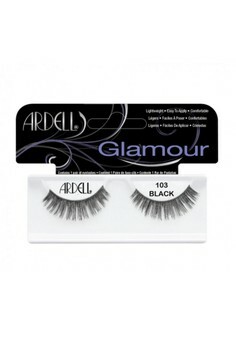 Peel your Andrea Modlash #13 false eyelashes off the package with a pair of tweezers. click here for more step-by-step lash application directions. together with a sparky finish, and now they have become a comfort blanket. I feel naked with out falsies. I wore MAC lashes on wedding day and loved them. 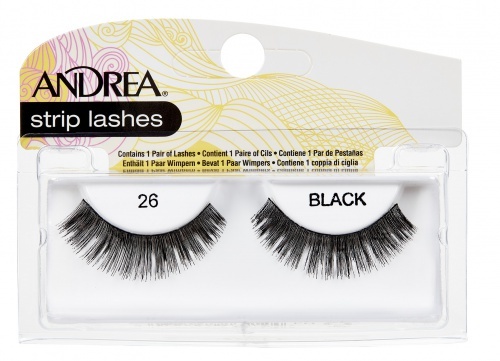 Too costly for regular wear, until I found Andrea 28 lashes and LOVED them. Better than MAC's and now through Madame Madeline, affordable for regular use! i buy these for my girlfriend who wears them everyday. i dont tell her but she actually looks better with these eyelashes on than without.